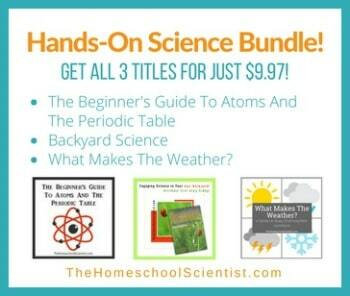 The Homeschool Scientist took part in the Ultimate Education Guide put together and hosted by Allternativelearning.com. It’s amazing resource for all things Earth Day. While you are there, check out 100+ Ways to Celebrate Earth Day Everyday. Watch the recycling process in action. Make a water cycle bracelet. Learn about the whys and hows of paper recycling. Find lots more resources on The Homeschool Scientist’s Earth Day Pinterest Board.